On Wednesday, May 1, 2019 FRID will participate in the National Interpreter Appreciation Day! This special day of honoring and thanking interpreters for their commitment to the field and to the communities we serve happens annually on the first Wednesday in May. 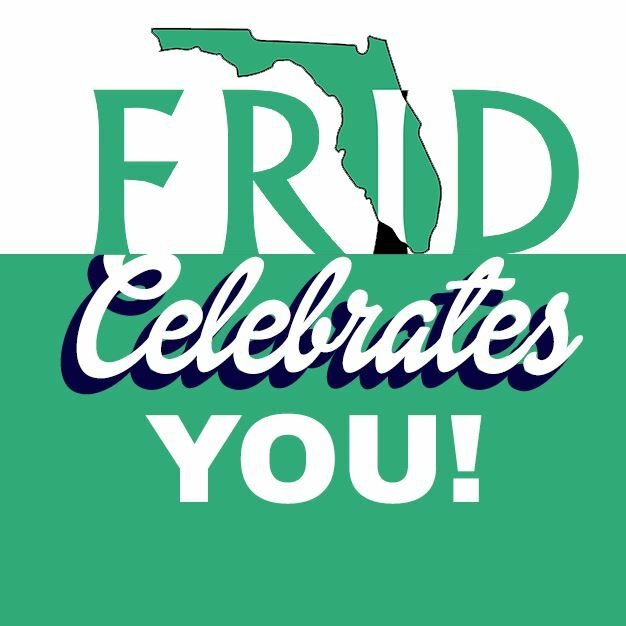 FRID is excited to join in the festivities and give out prizes to our loyal FRID members. The prizes included Visa gift cards, free one-year FRID memberships, and free registration to a 3-hour FRID workshop. Although we appreciate you everyday, we will be flaunting our love for you even more on National Interpreter Appreciation Day! Congratulations to all of these FRID members who were selected to win prizes in our 2018 drawing: Aimee Alvarado, Judy Beldon-Feldman, Renee Cable, Kaitlyn Concannon, Andrea Crosson, Ricardo Garcia, Rose Halper, Priscilla Jones, Julie Kessler, Kathy Mason, Kelly Matamoros, Emma Mills, Patty Jean Nowicki, Caroline Partin, Mariah Peaster, Travis Soto, Casey Toth. All prizes must be claimed within one year of issuance. All prizes will expire on 6/1/19. 1-year membership prizes will automatically be applied to the following membership year. Gift cards will be mailed to the address FRID has on file. FRID is not responsible for lost or damaged gift cards. Contact president@fridcentral.org with any general questions and/or concerns.